As children, we were oftentimes asked in school what we wanted to be when we grow up, it is usually followed by questions why we wanted to be such and sometimes, we would even be asked to write a long essay about it. Usually, kids would simply say “I want to be a nurse because I want to wear white” or “I want to be a doctor because I want to be a superhero”. However, as the years pass by, we gain more wisdom and the reason behind our aspirations become deeper and more meaningful. Some enroll in this course since most of their relatives are nurses, too. For them, it is a given that they too should become a nurse just like their aunts and cousins. While others enter the nursing profession due to other reasons, some students chose to enroll in nursing in the hope that they, someday, will be able to earn lots of money from the job. Relatives and friends during family reunions and occasions would often brag about the salary that their son or daughter who is a nurse abroad is earning. They would tell those around them about how they can now relax since the pay of their child is already enough to support them, how they get to buy the things they wanted and many more. Intrigued and enthralled, you, too, enter the nursing profession hoping that you would get to live your dream of living a luxurious lifestyle someday. However, what others do not know is that not all nurses are paid adequately. There are those who work their butts off and just get paid for a meager amount. Some students, upon graduating from high school are still undecided on where they will enroll to and what course they will take up. So, seeing most of their friends enrolling in nursing, makes it easier for them to make the decision. Where their friends go, they go, too. “We’re all in this together,” right? This one is similar to financial reasons. Some students chose nursing in the hopes of getting to work abroad someday and of course be financially stable. For them, nursing is their one way ticket to Canada, USA and many others. Before one enrolls in medicine, he/she first needs to enroll in a pre-med course. Seeing how nursing is very much related to medicine, many find this association to be beneficial. They enroll in nursing because they believe that they will be able to learn a lot of things that would come in handy someday in med school. Some nurses admit to enrolling in nursing school due to the simple reason that they want to wear the all-white ensemble and the mighty cap, and sometimes, even the colorful scrubs. 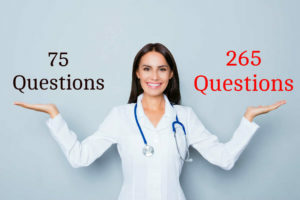 Despite the reasons mentioned above, there are still a number of nurses who enroll in the nursing course not because they “have” to, but because they “want” to. There are still those who genuinely love this job and have envisioned their selves to become a nurse since their childhood days. Enrolling in nursing school has been their dream and has been what they have been dreaming of since they were little. For them, this is their calling as this profession offers the opportunity to serve, especially to care for the sick and the needy. They genuinely want others to become well and they find joy in seeing their once weak patients recover from their illnesses. While the reasons may be different amongst students, what’s more important that we have a common goal, to eventually become a successful nurse someday. Though each person’s drives may be different, the path that we undergo is the same. It is important that aspiring nurses be motivated enough to push through this profession no matter how hard nursing school might become. This entry was posted in Nurses' Notes and tagged become a nurse, i want to be a nurse, nurse, nursing, reason to be a nurse, reasons to be a nurse. Bookmark the permalink. I will be sixty two years old next week, and as I look back on my life, I can truly say, “I have no regrets”. I am the oldest of four children and because my father was in the Air Force, I have seen the world. As a child, we moved every four to five years, living in two foreign countries; France and Libya and several states within this great country. While stationed in El Paso, Texas, I was in the hospital twice. I remember the nurses were so kind to a scared little six year old child and made sure that while my parents were away, I was well attended. I asked one of the nurses what I could do to repay her kindness. She told me to “become a nurse and not just any nurse, but a great nurse”. This has stayed with me all these years. I hope one day to impact a child the way I was all those years ago. As a teenager, I volunteered with the Junior Red Cross in Marquette, Michigan. I thought I’d see if working in the hospital was truly what I wanted. After that, I was hooked. In my senior year of high school, I took night classes to become a CNA. I decided after graduation that I would join the Army since there was no money for college and use the GI Bill to attain my goal of becoming an RN. You know what they say about “the best laid plans of mice and men”. I became a medical corpsman only to leave the service after two years to become a wife. Nursing was placed on the back burner. My marriage lasted only two years, but I was given a wonderful son to take care of. I became a medical assistant and this satisfied my need to be in the health care field for many years until when most people my age are considering retiring, I decide to go back to school and keep the promise of a six year old girl a become “a great nurse”. The Creator has shown me that I have been called to be a healer for my people. I practice many of the rituals and prayers of the Choctaw tribe. 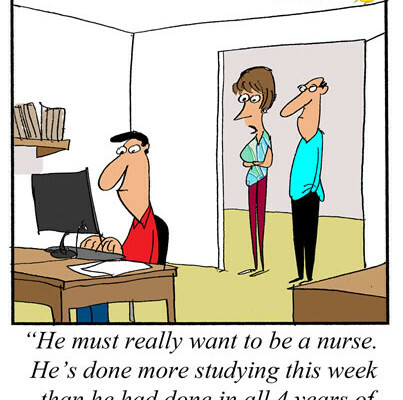 This is another reason that I feel it is so important for me to become a nurse. It is my desire to work on a reservation, bringing much needed health care and education to the native people. I have always been a nurturer and my desire to help people has been a major factor in who I have become. I always strive to help those in need and what better way, than to become a nurse and give good quality health care. Many times a kind word or touch can give as much comfort as the medicine you are giving. It makes me feel good to know that I have brought comfort and peace to those in pain. My husband retired several years ago because of his heart condition. He has had four heart attacks and it has been left to me to be the “bread winner” of the family. The only way I could go to school and continue to work was to go to evening classes. I checked every school in the tri-county area and Edison State College is the only school that offers an evening program. I knew this was where I needed to be and began taking classes to attain this goal. And as they say, “that is the rest of the story”. Here I am fulfilling the promise of a six year old child & the calling of the Creator. I know I will become an “excellent nurse” under the tutelage of the wonderful professors of this evening program. I bring a true desire to help others to my dream of becoming a nurse. I believe what you give, you will receive. By paying it forward and being the best nurse I can be, I will one day have the best nurse taking care of my family and me. Is that selfish? Maybe, but look at all the people I can touch & bring quality care to in their lives. 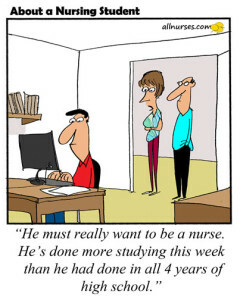 I know its not that easy to become a nurse. Those sleepless nights, Those stressfull weeks or what we call “HELL WEEK”. Those impossible grades that we must maintain, those times that we feel down and hopless, all of those things are WORTH IT every time we help our patient, we see them happy and contented in what we do to them, because nursing is not just an art, it has a HEART. I became a nurse for one reason. My husband and I were going through marital difficulties and I thought if we get divorced, I want to have a job that will provide some security for me and our daughters. I went through the 2 years of class work and did ok, but then I started on clinical studies. As soon as I set foot on the hospital unit, I knew this was not going to provide security for me and our daughters, but it was where I was meant to be and doing what I was supposed to do with my life. I have never regretted this decision and that was over 30 years ago; and in case anyone is wondering, the husband and I are going on 48 years of marriage.